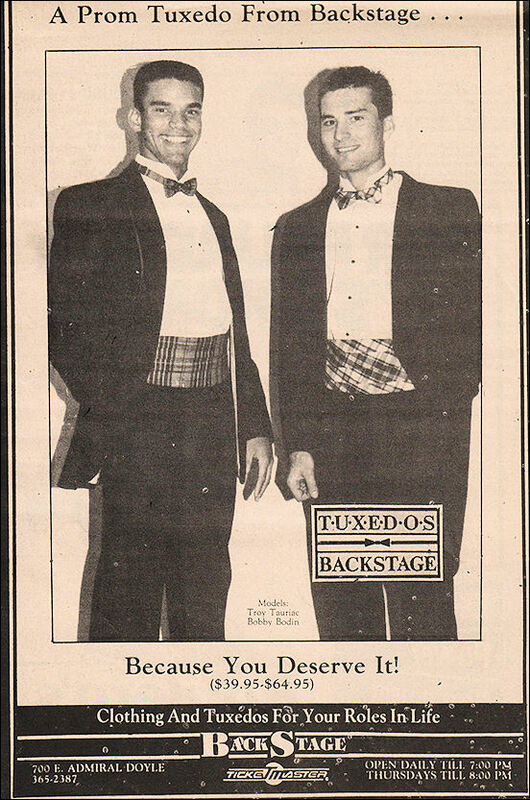 We’re posting Throw Back Tux ads, because Prom 2014 in NOW! Even though, Backstage no longer rents tuxedos, we want to emphasize that you should reserve your Prom 2014 Tuxedo now. Backstage can still help you with courtesy measurements should you need them for out of town Tux Shops.